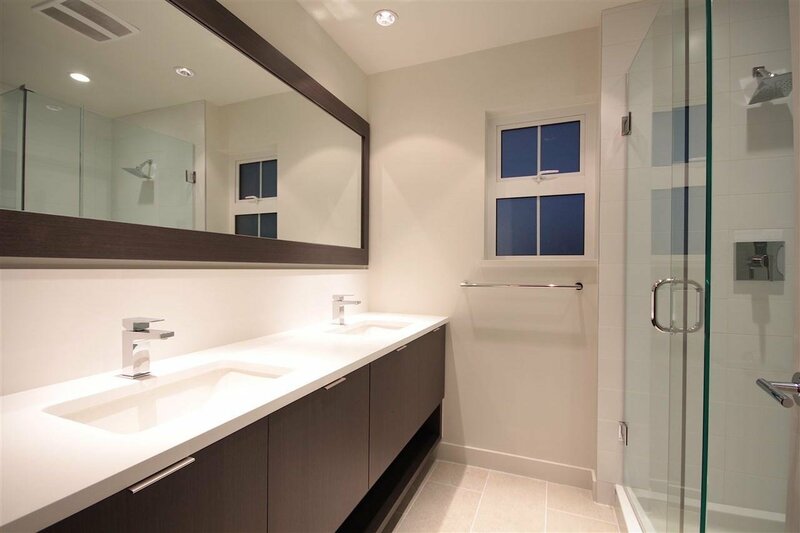 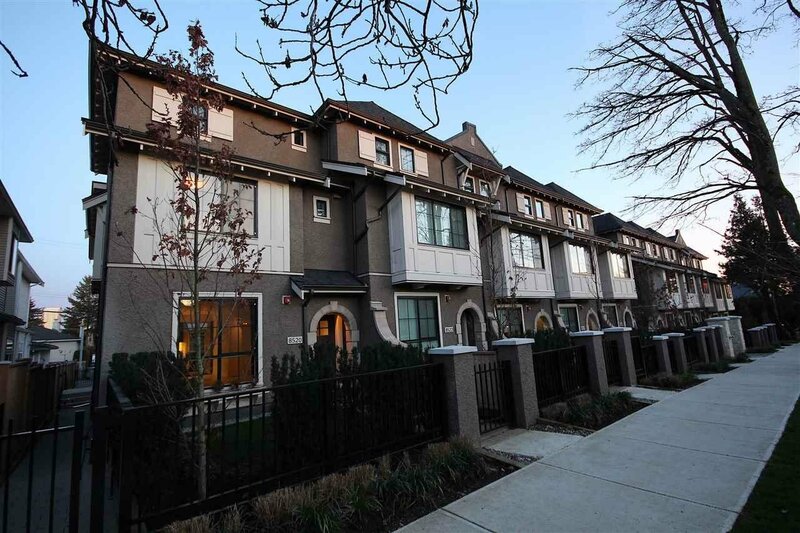 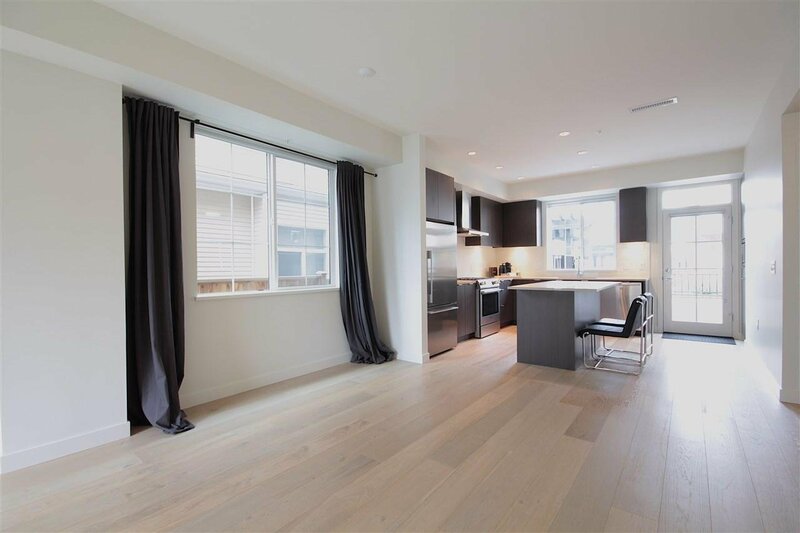 Gorgeous contemporary townhome in Osler Residences complex located in prestigious Vancouver Westside. 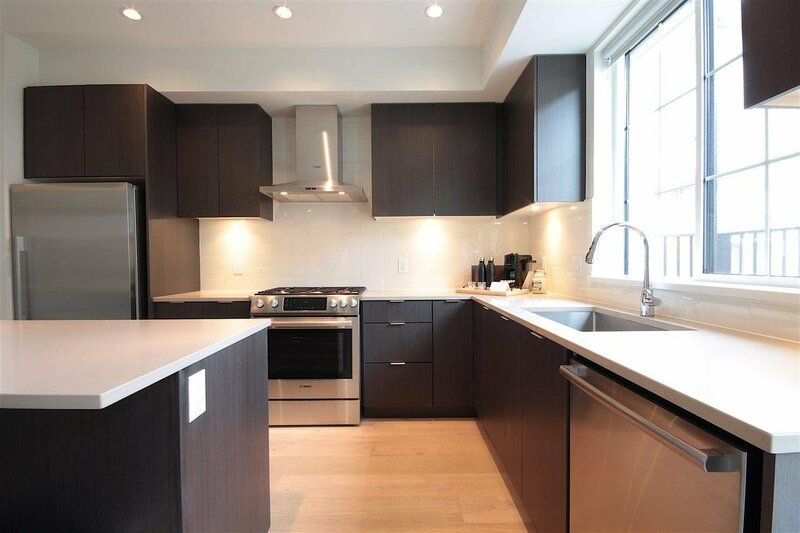 Designed by renowned Formwerks Architectural, this rare 4 bed + 3.5 bath unit offers 2,156 SF of modern interior space & partial water and mountain views. 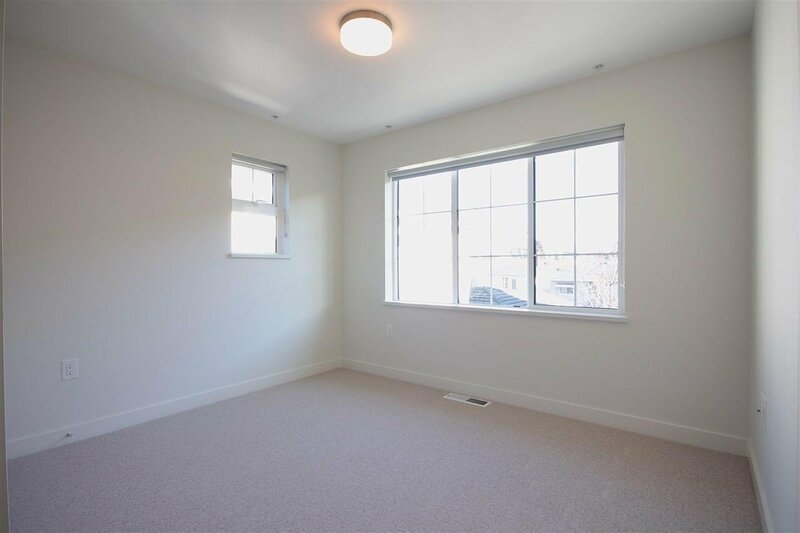 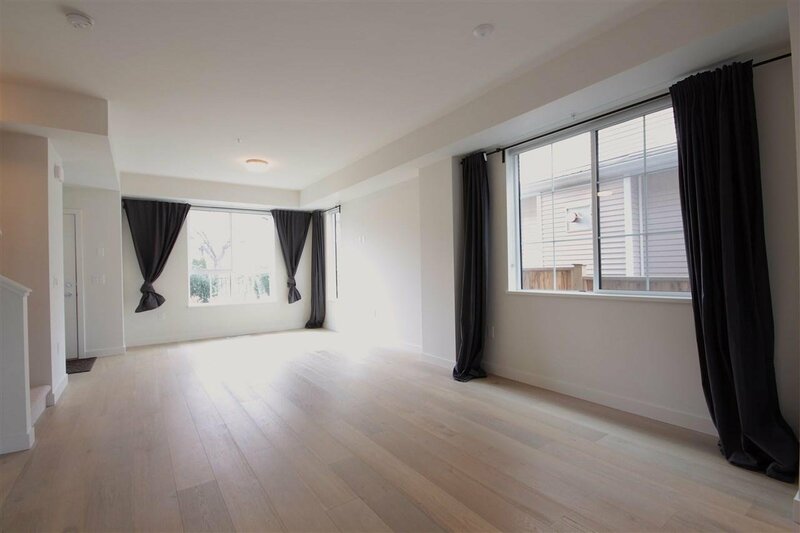 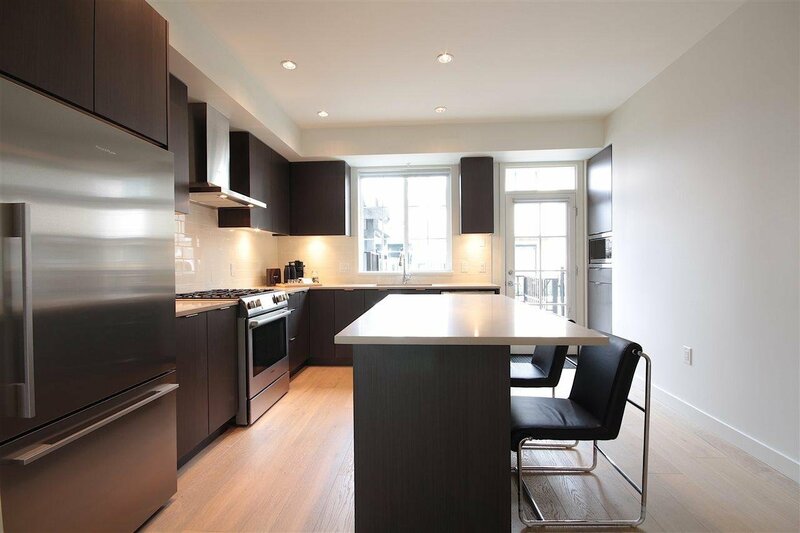 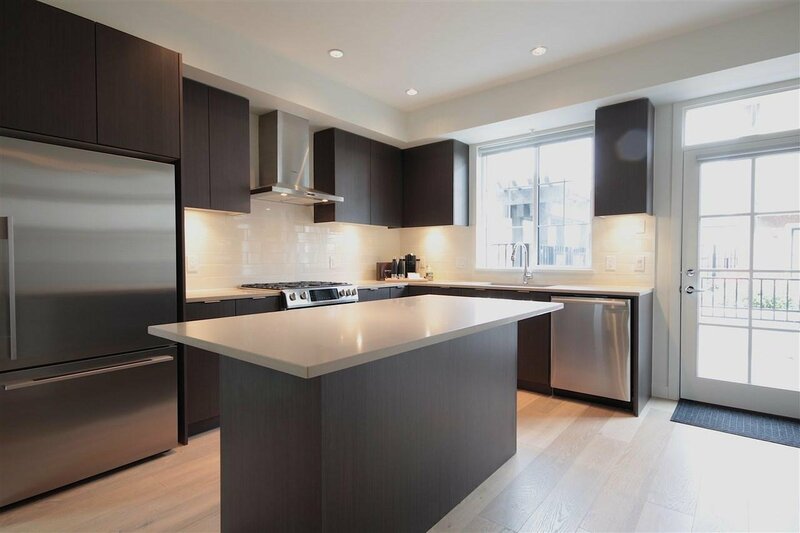 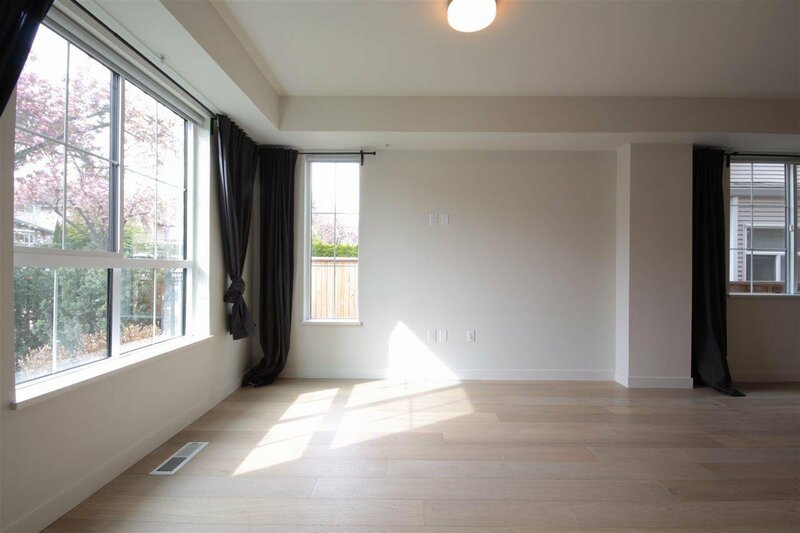 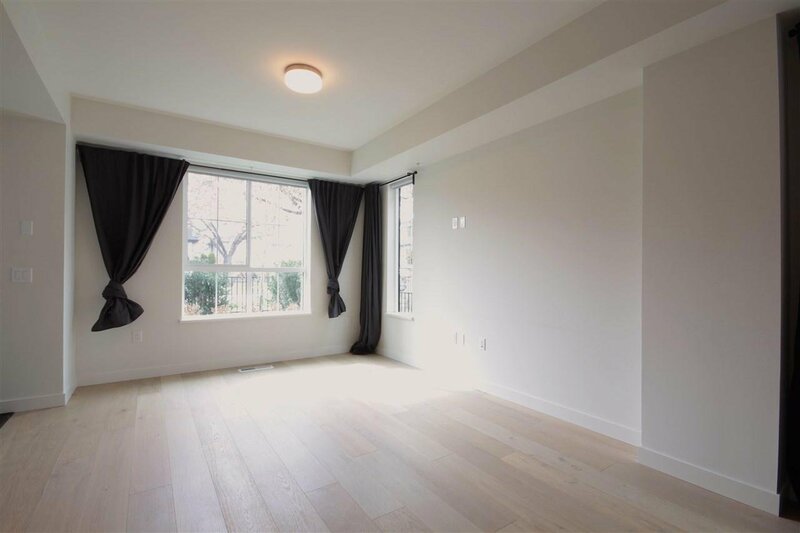 Features incredibly spacious living and dining rooms, stylish open concept kitchen with high-end appliances, central A/C throughout unit, and convenient direct access to 2 parking stalls. 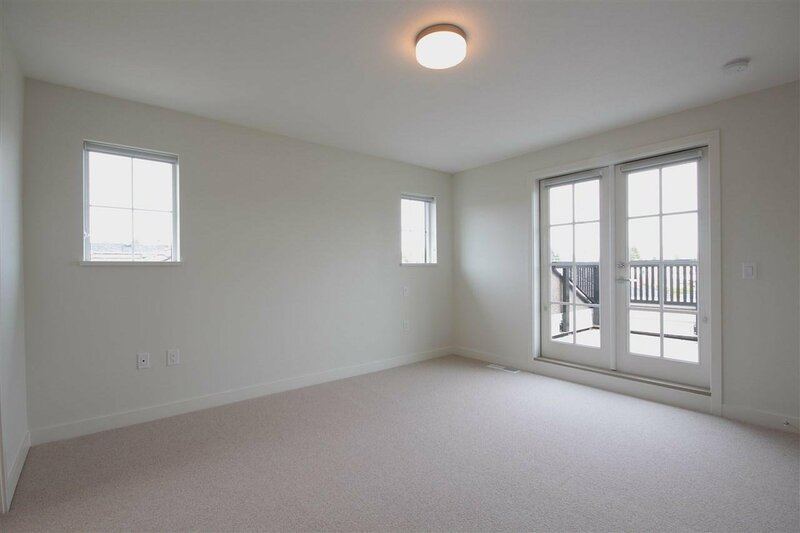 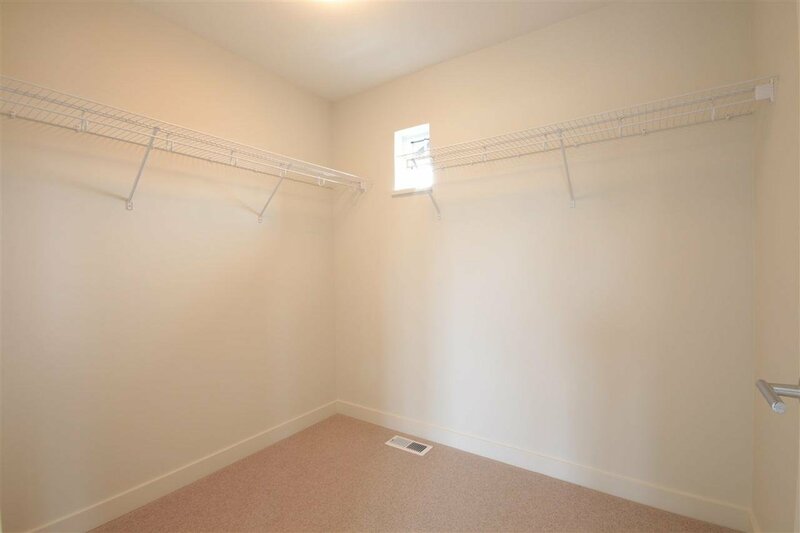 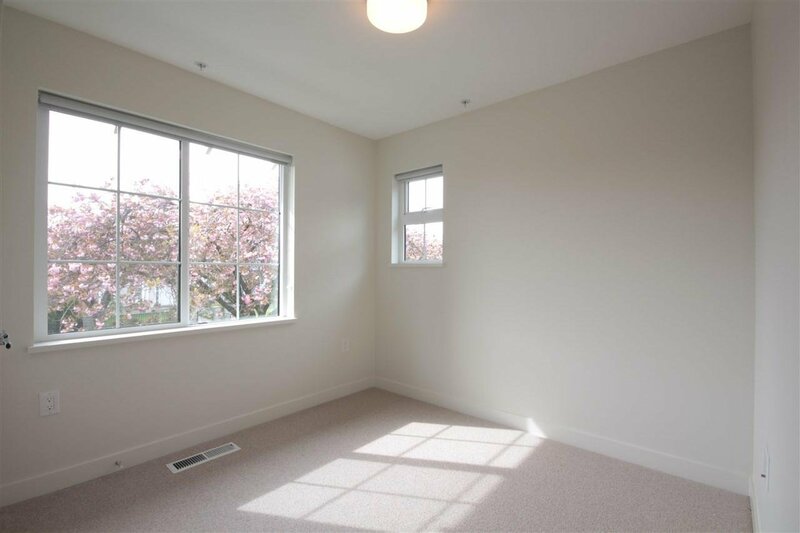 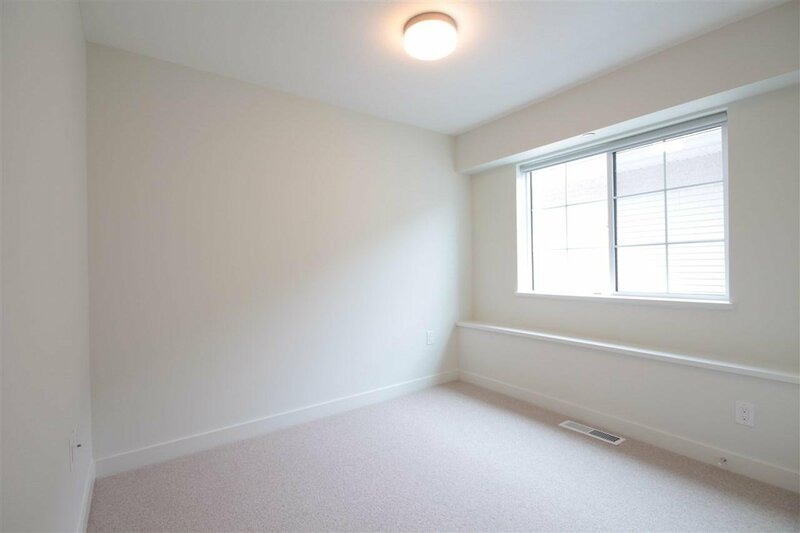 Large patio on main floor and balcony in master bedroom brings in abundant sunlight throughout the home. 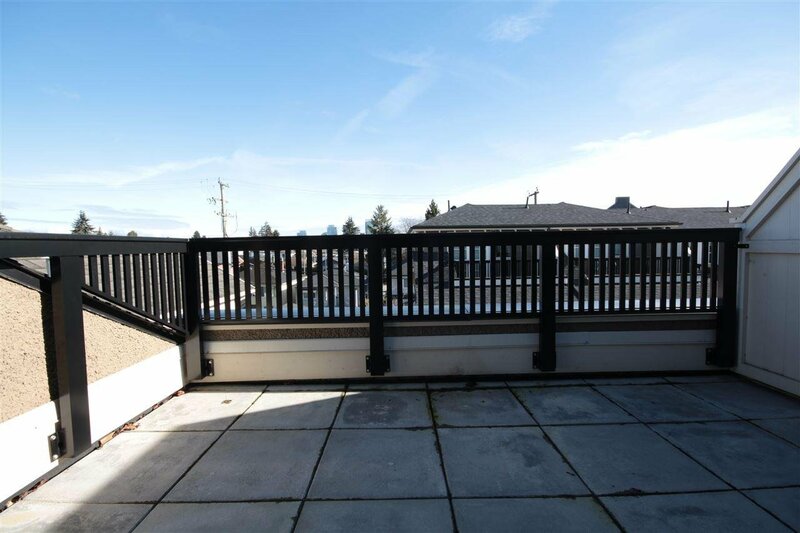 Close proximity to Marine Gateway shopping and entertainment complex, transit, Churchill Secondary with IB program & David Lloyd George Elementary; short drive to UBC. 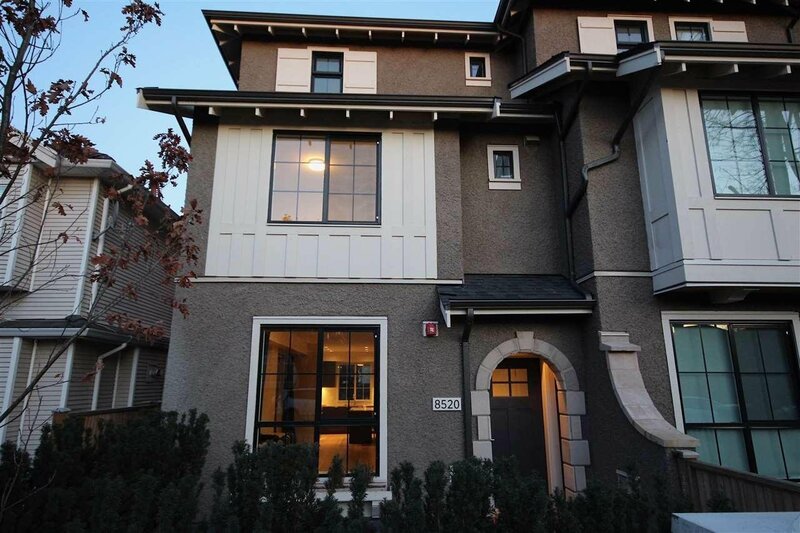 Open house 2-4pm Sat Apr 6.